We designed an award-winning total adaptive re-use renovation of this circa 1923, four-story, limestone building. 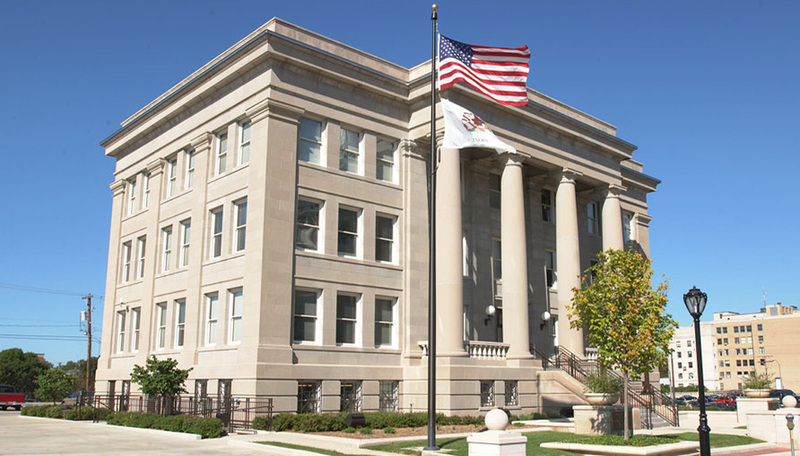 The project included a new courtroom, conference room, judge's living quarters, records storage, office areas, storage, stairwells, restrooms, elevator, and also refurbishing and incorporating historic building components. ELA worked with IHPA to restore the stairs and windows which were deemed historically significant. Additional work included a new roof, new mechanical and electrical systems, new fire alarm system, plaster work, custom millwork, cabinetry, terrazzo, marble wainscot, masonry cleaning, custom railings, and more. The exterior received a new parking area, landscaping, lighting, and refurbishing of the existing limestone facades. This project won the 2002 Thomas H. Madigan Outstanding Achievement Award.